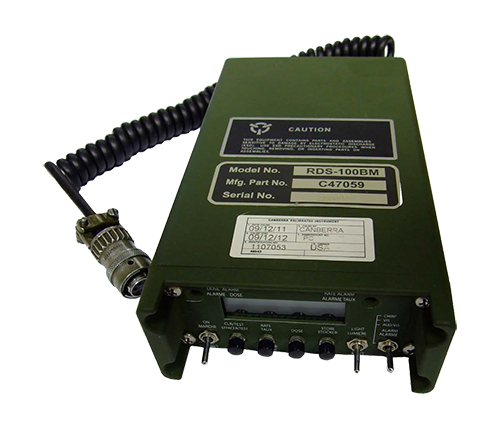 The RADSIM A-SIM-P is an Alpha radiation training simulator probe for use with the Mirion / Canberra AN/PDR-77 and RDS100 survey meters. The A-SIM-P set provides you with a training system that enables your students to experience the operational features of the real detector without the need for real radiation sources or radioactive materials. The advanced design of the A-SIM-P enables you to use the simulator probe with your operational AN/PDR-77 and RDS100 meter without the need to change the calibration of the actual instrument. A-SIM-P responds to safe magnetic sources that simulate alpha radiation, removing regulatory, environmental, and health and safety concerns for you and your students. You can use the simulation sources anywhere, including within public buildings. A-SIM-P permits radiological incident instructors to safely teach survey, location and decontamination skills. The A-SIM-P responds to deployed magnetic simulation sources that simulate beta sources for training in contamination, cross-contamination and decontamination. 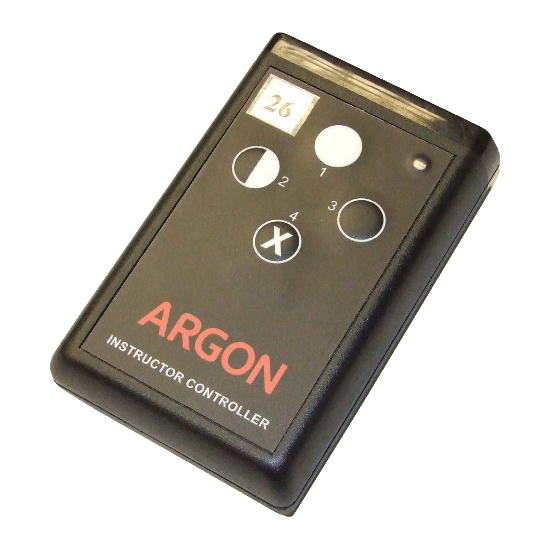 An instructor remote controller (IRC) is provided in order to simulate the effects of partial or complete decontamination when using magnetic simulation sources, or to simulate probe failure. Argon simulation systems enable realistic simultaneous training in the use of different types of radiation hazard detection instruments. 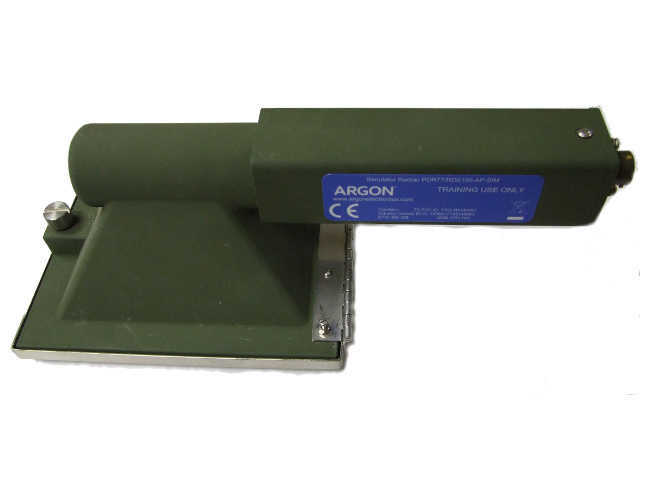 The A-SIM-P system is compatible with other dosimeter, survey/radiac meter, and spectrometer simulators manufactured by Argon Electronics, permitting multi-detector, multi-isotope training to take place within the same scenario. You can even optionally include hazardous substance releases including chemical warfare agents to drive HazMat / CW simulation detectors. The A-SIM-P system is compatible with Argon’s PlumeSIM system. PlumeSIM enables real time instrumented wide area operational training exercises to be conducted using single or multiple simulation device types that respond in the real world to multiple virtual radiation or chemical hazard release events. A-SIM-P probes are powered by the same battery supply as the real radiac meters to which they are connected. The simulators require no preventative maintenance or recalibration, reducing the cost of ownership. Expensive damage to real detectors is avoided which means operational readiness is maintained.